Photo 058. 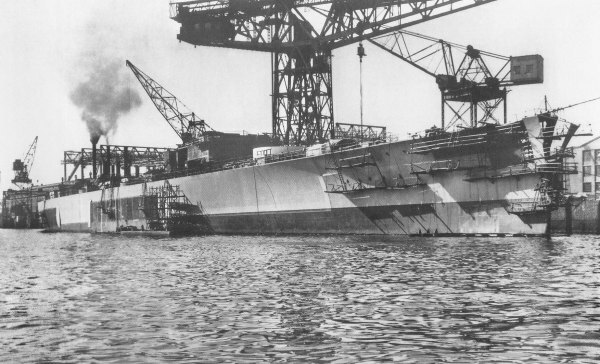 Bismarck Under Construction. Bismarck Under Construction. The battleship Bismarck fitting out at the Blohm & Voss Shipyard in Hamburg during the summer of 1939. At the time this photo was taken the Atlantic bow was being constructed and the first plates of the armour belt attached to the sides.